Has anyone fitted 245/40R19 tyres to stock R rims? Do you get much or any rubbing? 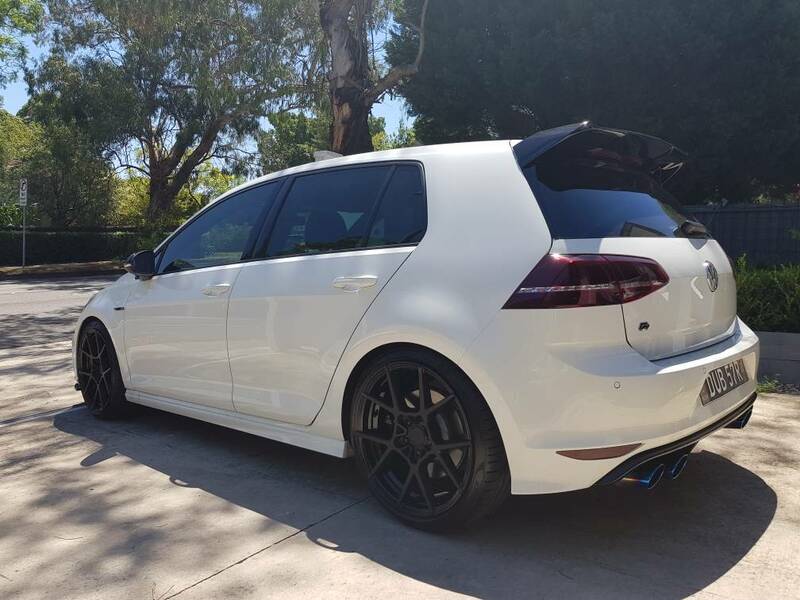 hey thinking of 18x8 et45 with 245x40x18 tyres on mk7 gti. anyone tell me if there will be any issues with 245 tyres? Currently looking for new tyres at the moment and was wondering if anyone had any recommendations? Our original ContiSports is needing to be replaced now after approximately 37k. Not looking for budget, but also not looking to pay extra for any additional performance we won't be taking advantage. What is the Smallest wheel you could fit on a mk7 gti? 15"? Last edited by Andy_rb; 26-03-2018 at 04:19 PM. I don't know if this is the site for this, but here goes. I have a set of VW Rotary wheels. Two of them have kerb scuffs. The colour is listed as anthracite, but I can't get an 'anthracite' that matches. For example, the Aston Martin anthracite colour from AutoBarn doesn't match. Anyone know of the paint code for the Rotary please? Greg.